GOOD IDEA... or WASTE OF MONEY? What do you think of this Prescription Drug Cabinet? 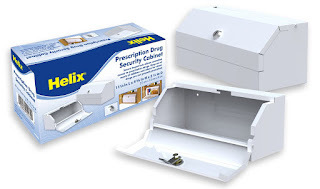 Keeps Prescription Drugs locked away from children and those in which medicines are not prescribed. Ideal for home, office, dorm, nursing home....can easily be mounted into any cabinet or drawer.